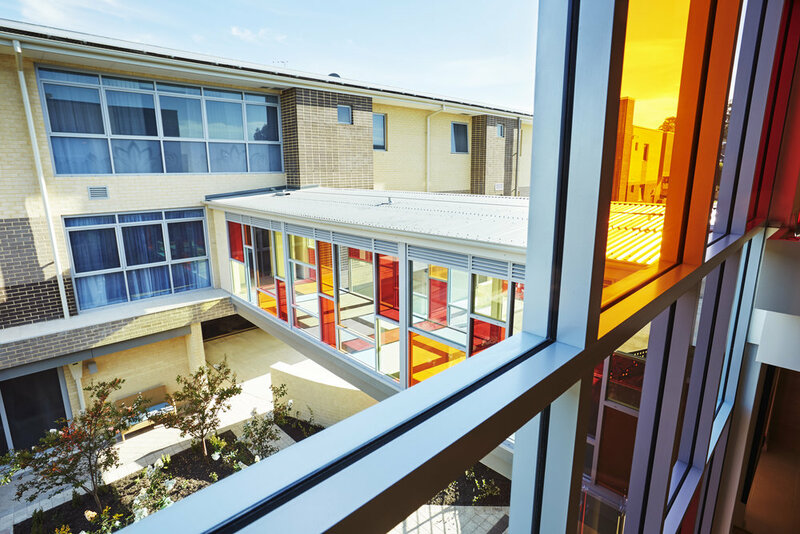 Having successfully completed expansion works at the residential and community care centre in Dryandra, PACT has again exceeded expectations at Bethanie Gwelup. 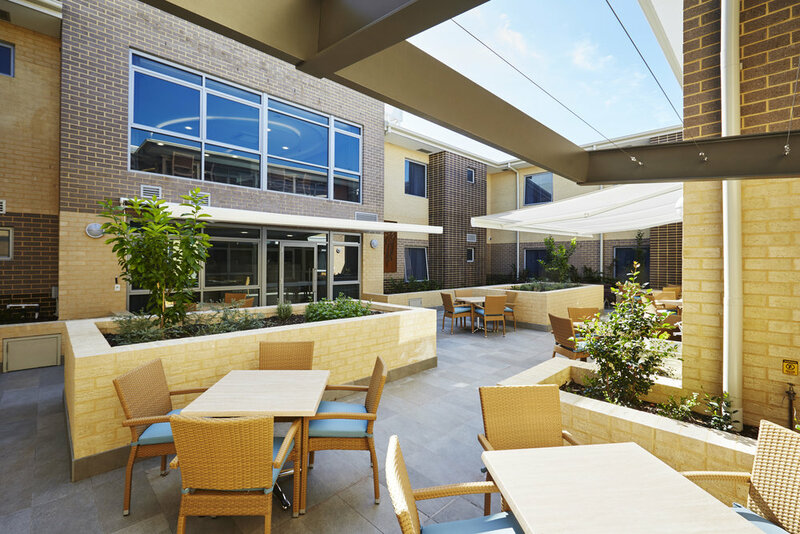 This brand new facility includes low care accommodation, high care facilities and the new Scarborough Church of Christ building combine to create an inclusive retirement village. 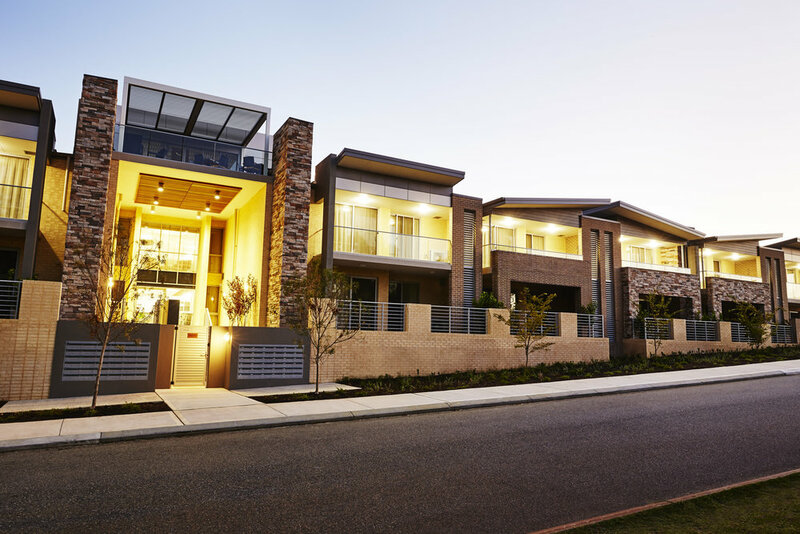 Located at the prominent corner of Karrinyup Road and Huntriss Road, village residents enjoy picturesque views of Lake Gwelup. The construction of the three separate buildings were staged across 84 weeks. 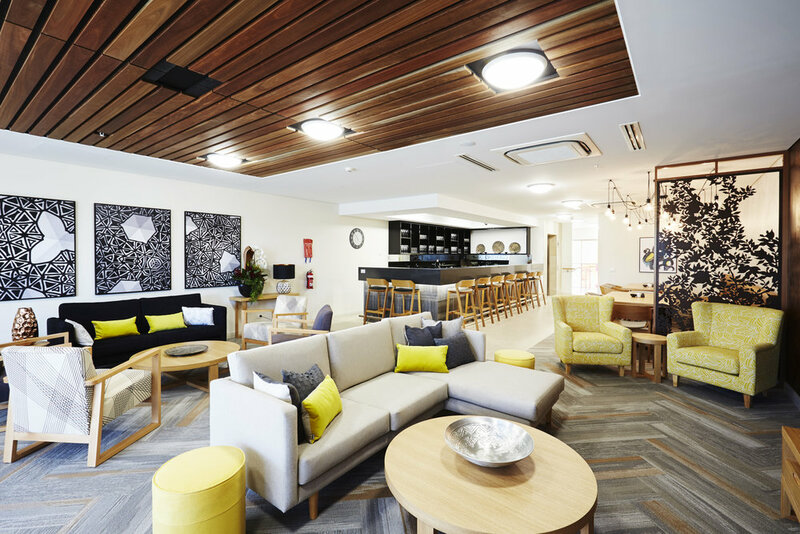 The 112 high care bedrooms within the aged care facility have a provision for dementia care, while the 68 low care retirement suites provide modern, comfortable accommodation in one and two bedroom configurations. All apartments occupy only a single level to meet adaptable housing standards. 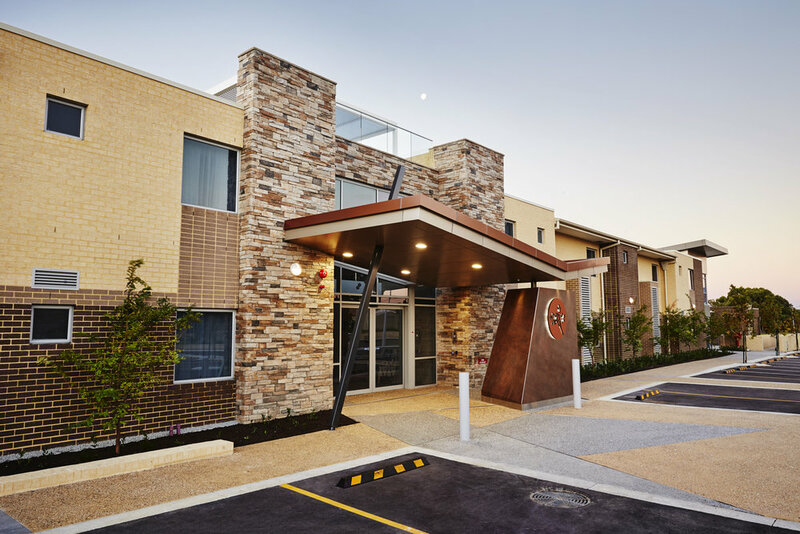 The external building façade reflects the quality found within, beautifully blending a complementary mix of materials including face brick, rendered brick, stonework, metal faceted fences and Colorbond roofing. The church was also constructed utilising precast panelling.